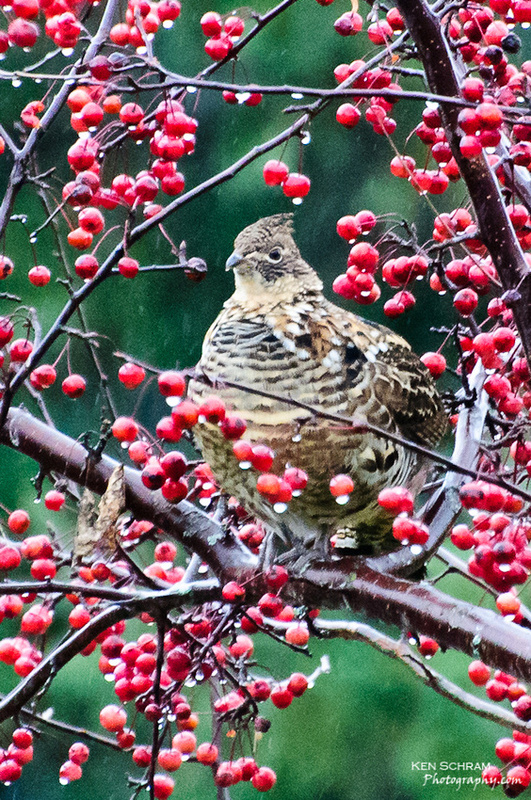 One cold, raining/snowing weekend my wife and I happened to be doing some cleaning in the garage when we looked out to see the back of a rather "pudgy" bird perched in our crab apple tree eating like there was no tomorrow. After retrieving the camera, it had turned around and paused long enough for me to grab a few shots of it's portly profile. In the more than 10 years we've lived here, this is only the second time we've seen a ruffed grouse -and a rather large one at that.